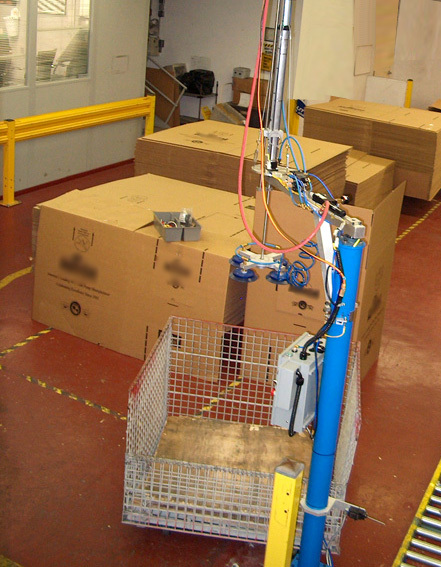 Automating an operation with robotics may not be as expensive as you think. 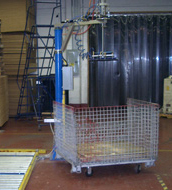 We will design and build for you as simple or complex a tool as you need. Just give us a call. This is a PLC Controlled Electro/Pneumatic robotic arm with vacuum lifting cups. 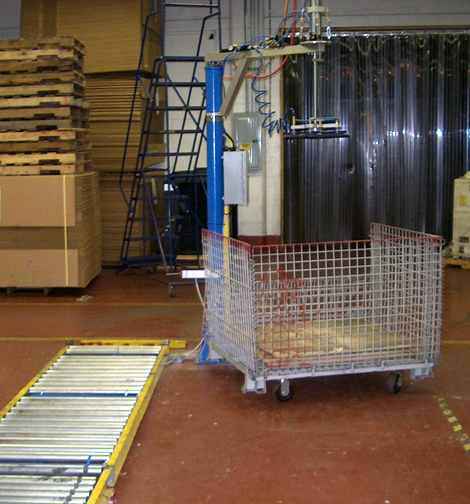 This arm lifts a pallet support board from the end of an assembly conveyor & drops it into a transfer cage for transport to the beginning of the assembly line. Remotely operated by the lift driver, it eliminated the need for him to get off his lift, pick up a 25-pound piece of plywood & walk it to the cage. (He was doing this 160 times a day.) This custom designed tool was a fraction of the cost of a commercially available robotic arm this size.